Three and a half years ago, when I started pin loom weaving and subsequently learned to spin yarn, I didn’t know that one day I would arrive at exactly what I hoped to achieve. These three handspun yarns all have one ply in common; the second ply is different for each. 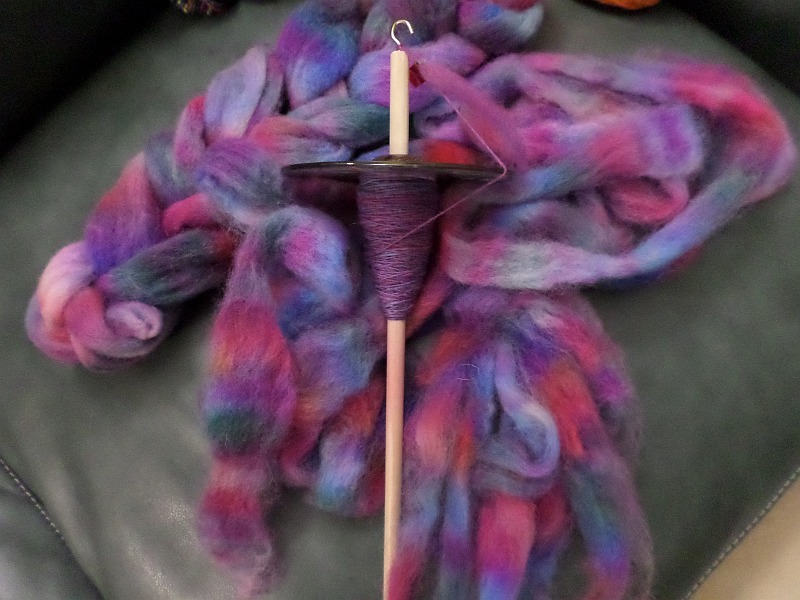 Yesterday I spun some yarn on a drop spindle. It’s my usual habit to divide the wool in half lengthwise (with the hope that each half will spin out equal in length which makes plying easier) and begin spinning. Top left of photo: you can see the second half of the wool in a braid. The first half is partly on the spindle, partly spread under it. Who knew? 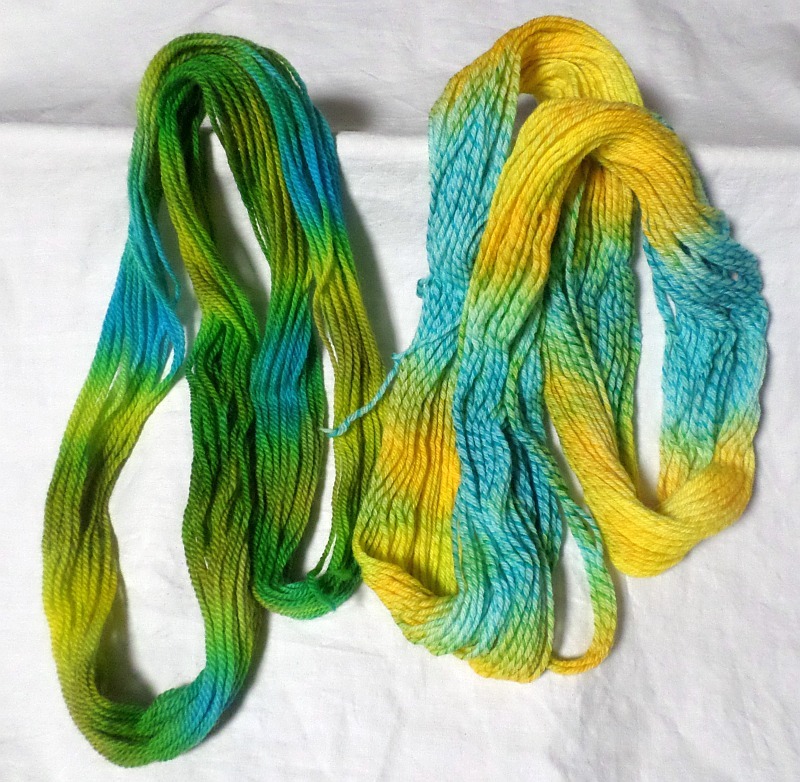 It’s as simple as purchasing a skein of super bulky weight acrylic yarn, unplying it, then respinning it. 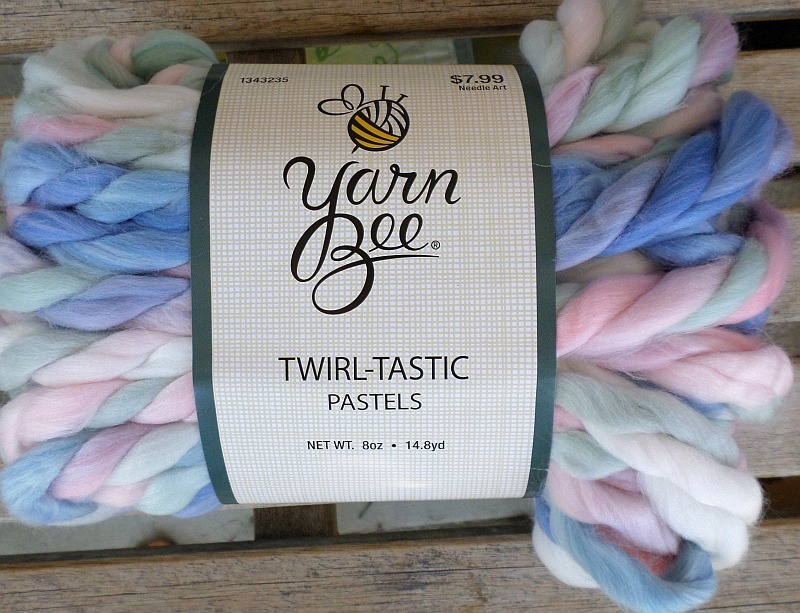 Voila, new acrylic yarn.